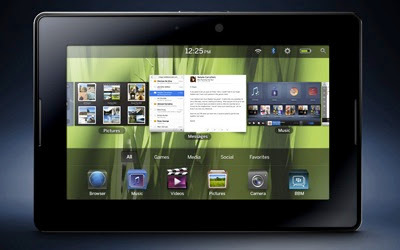 BoyGeniusReport.com is reporting some new information about RIM's BlackBerry tablet, the Playbook. First up, RIM finally gave a live demo of their Playbook tablet at the Adobe MAX conference. If you didn't get a chance to make it to the conference today, you can check out a video that has been posted to YouTube. Secondly, if you can't wait to get your Playbook on, you can now download the Playbook simulator for Mac OS X and Windows PC when you sign up as a developer on the BlackBerry website.